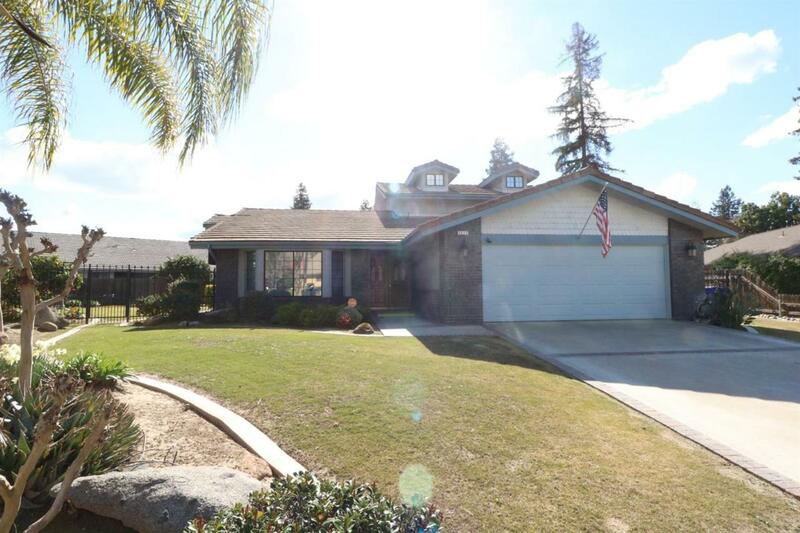 OWNED Solar System comes with this One Owner, Custom Built 3 Bed/2.5 Bath, POOL, Tile Roof & GRANITE Counters! An Impeccably Built and Maintained Home Featuring Living Room with Fireplace & Built-in Bookcase, Family Room w/Vaulted Wood Beam Ceiling and Separate Formal Dining room. 4 Year old A/C! Roomy Kitchen with Granite Counters, Newer Appliances, Breakfast Bar, Plenty of Cabinets, Counter Space & Beautiful View of Backyard. Master Suite has direct access to back Patio, Large Walk-in Closet, His/Hers Sinks and additional Vanity Area. Inside laundry w/Built-in Sink, Ironing Board & Laundry Chute from Upstairs Bedrooms. Garage has Extra Cabinets & Workbench area! Huge Backyard a offers an Enormous 14x40 Covered Patio w/4 Ceiling Fans, Large Pool w/Slide, Several Fruit Trees & Separate Fenced Garden area w/Shed! Located on a Spacious Over 1/4 Acre Lot! Built with 2x6 Construction and QUALITY you don't see everyday! Patio roof just replaced, 3/19. Price just reduced...Hurry!